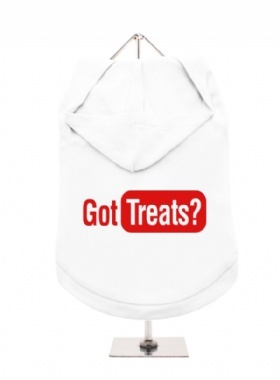 A fun, funky & distinct dog tank t-shirt with hood. 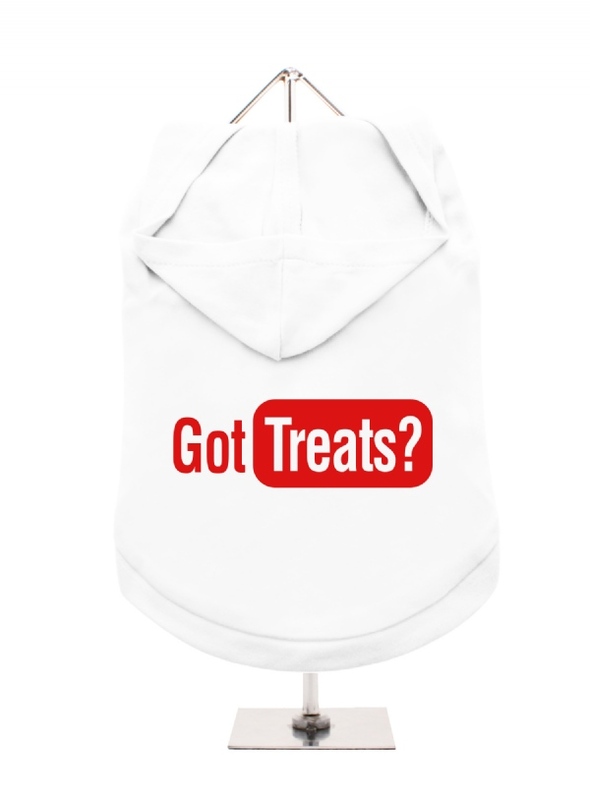 Made from high quality, fine knit gauge, 100% cotton and features a cotton-flex ''Got Treats?'' design.